Thank you @CNN for the great #Haiyan/#Yolanda coverage! The Philippines is glued to you. @andersoncooper, when journalists like you keep watch/notice, there's a bigger chance that most relief donations will reach Yolanda victims. 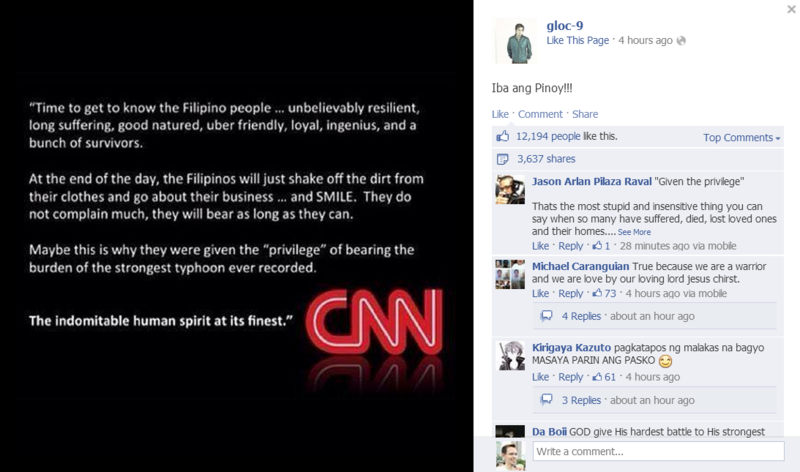 Itong si Anderson Cooper, sabi wala daw government presence sa Tacloban. Mukhang hindi niya alam ang sinasabi niya. 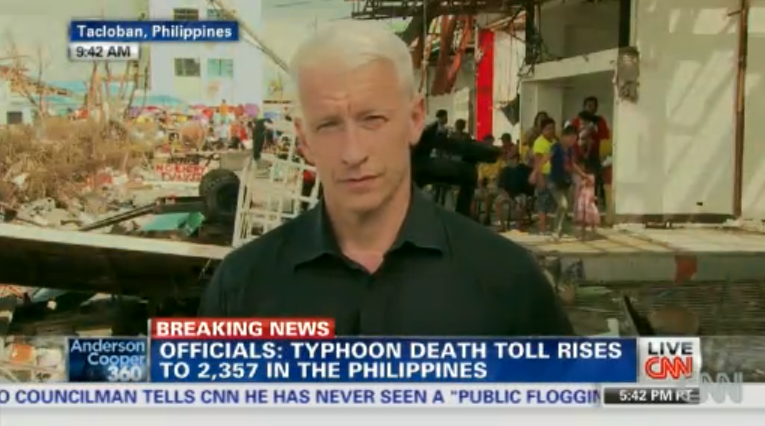 Anderson Cooper's coverage of the haiyan disaster in tacloban is a good example of parachute journalism and scaremongering.